Portland Alternative Clinic or PAC for short is an Oregon bases company owned by a native family which provides a very friendly and sustainable environment for patients who are looking to avoid the allopathic treatments of this world and cure their ailments through alternative medicines. 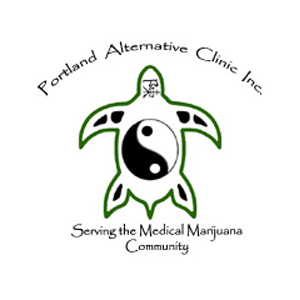 Portland Alternative Clinic is the home of the full time Medicinal Marijuana physician Dr. Sandra Camacho who vastly specializes in this very subject matter and will also be able to guide you through the often daunting process of obtaining your very own Medical Marijuana Card certified by the Oregon Medical Marijuana Program. Doctor Sandra has dedicate her whole life into helping patients cure their diseases through the help of Alternative treatment, and she is vastly known for her professionalism and high experience value, making her one of the pioneer of this field. Her warm and hospitable behavior makes her patients feel comfortable and share their problems without any hesitation. The whole business must be run based on sound management practices. Every patient and Employee deserves utmost respect. Following the laws written by Oregon, Marijuana is to be looked as being just another medicine. Portland Alternative Understands that patients who come to visit them in most cases prefer to maintain a discrete status, and they fully uphold their honor by respecting to the Doctor-Patient confidentiality treaty made beforehand. Portland Alternative Clinic is based upon their core beliefs of business practice following by their moral ethics and integrity, making them one of the most prominent Clinics out there.